Virtual Trade Show Booths - The VTS is open 24/7/365 and lets you make a complete presentation of your product and services. You can also feature your Sales People, post a Company Video or product videos, and do much more with our Infinite Page. Turn new prospects into a network of lasting business relationships. Skyscraper Ads in the Main Equipment & Parts Pages - DOTmed's Equipment & Parts pages are an advertiser's dream: they deliver an audience of serious equipment shoppers - and that audience is buying exactly what you sell. It's where the more than 22,000 daily visitors to DOTmed go, and Google sends thousands of people to these pages every day, all day long. Skyscraper Ads in the Virtual Trade Show - DOTmed's Virtual Trade Show and the Equipment Guide contained within it are a great advertising value. They both deliver a prime audience of serious equipment shoppers that want what you sell. 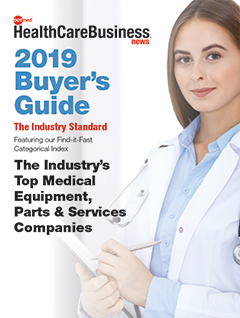 Our Equipment Guide is the most complete listing for medical equipment anywhere online, and its quality content attracts the kind of customers you want to reach. Animated & Static Banner Ads- Banner ads are available in numerous locations throughout DOTmed and our Online News, and they make your selling message dynamic, efficient and effective. Targeted Text Ads - This option lets you advertise in this popular Forum visited frequently by biomedical engineers for just $75 to $100 per month -- depending on the categories you choose. Animated Display Ads - These animated ads have high visibility and are just $500/month, but space is limited. Sponsored Posts - To meet the demand for advertiser access to this area, and as an alternative to the display ads, you can take advantage of our Sponsored Forum Posting option. Online News Ads - Three ad options cover every budget. Advertise within stories that have content directly related to your business and be recognized as an industry sector leader. E-Advertorials -- Online Advertorials - DOTmed E-Advertorials are your best option when you want to tell a big marketing story online. They also come with the power of permanent archiving, making them a permanent value. Trade Show Preview Email Blasts - Preview your new equipment and services and drive traffic to your tradeshow booth. 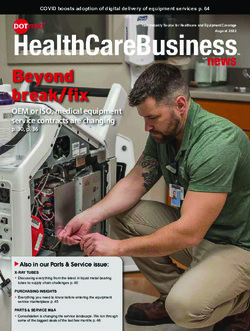 DOTmed HealthCare Business News Magazine - Reach more than 30,000 hospital decision-makers each month with targeted ISR ad placement. 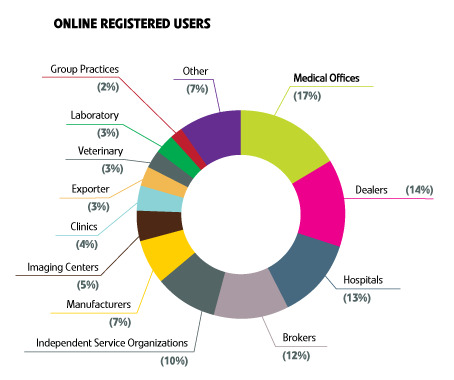 DOTmed Annual Buyer's Guide - This is the Industry Standard that keeps your company in front of your customers year round. 30,000 copies mailed to hospitals and healthcare facilities nationwide and another 2,500+ distributed at major trade shows. DHCBN circulation has been verified by BPA, a neutral third-party. Power User Discounts - Give yourself more bang for your buck. Ask us about special packages for your business. Self-Managed Auctions - These are like Super-Premium Listings, because all Self-Managed and Full-Service Auctions get priority placement at the top of every listing category. Buyers will see your Self-Managed Auction first, before any Upgraded Listing. DOTmed.com, Inc. reserves the right to refuse and advertisement, advertorial or e-advertorial that is deemed inappropriate, disparaging, or offensive. Visitors typically spend 5-15 minutes on DOTmed, with the average time around 9 1/2 minutes, which is very high for any B2B website. 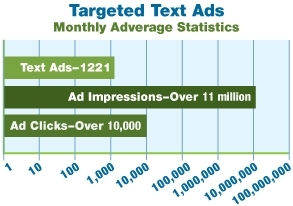 Text ads running on DOTmed generate millions of ad impressions every month and produce tens of thousands of ad clicks directly to our advertisers websites.